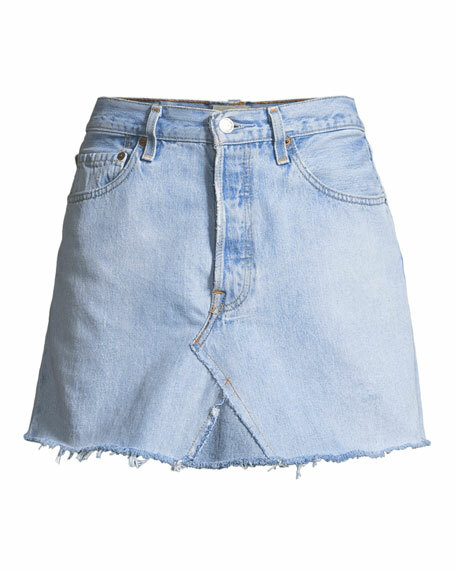 From the Elizabeth & James Vintage Collection, hand-selected by Ashley Olsen and Mary-Kate Olsen. Please note: Original vintage piece; no two are a like. Design, color, and fit will vary from item shown. Shows wear due to age and normal use. 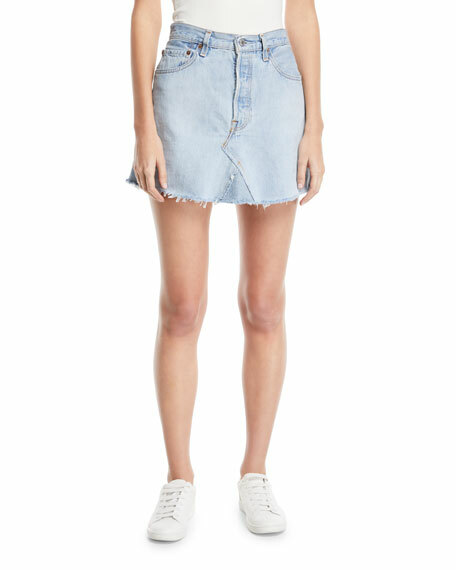 Vintage Levi's denim mini skirt. Secondhand itemFiber and country of origin unknown. Model's measurements: Height 5'11"/180cm, bust 32"/81cm, waist 25"/64cm, hips 36.5"/92cm, dress size US 2/4. 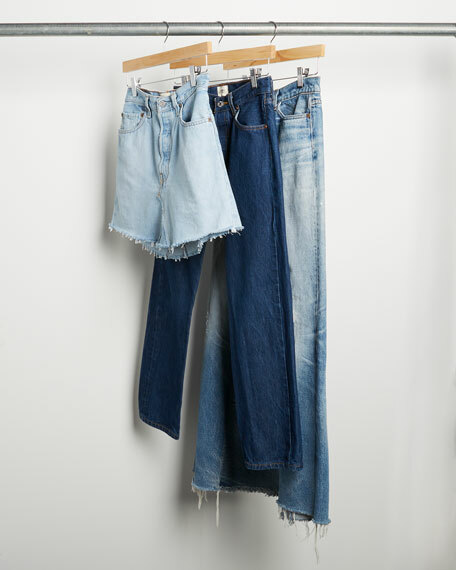 EANDJ Vintage is an assortment of vintage apparel curated by Elizabeth and James owners and designers, Ashley Olsen and Mary-Kate Olsen. Embracing the designers' deep love of vintage, each piece is hand selected for its unique character and nostalgia. Wear. Love. Repeat.